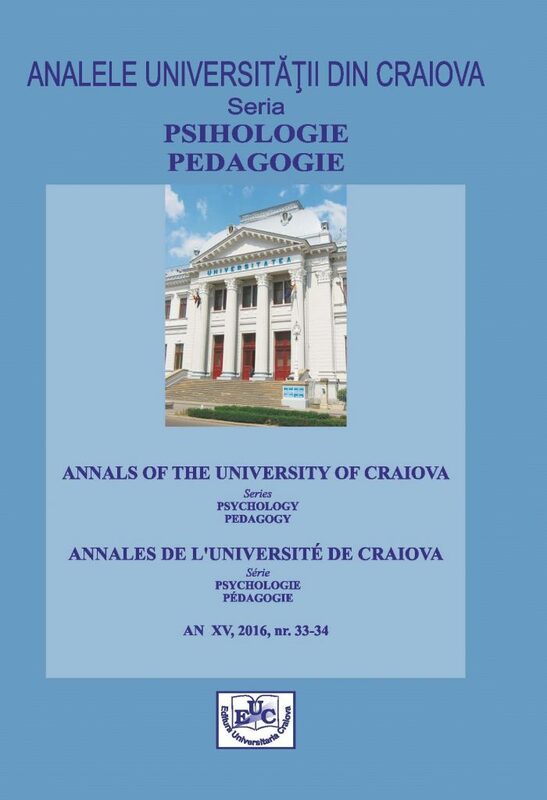 The Annals of the University of Craiova, the Psychology-Pedagogy series, is an international academic publication with interdisciplinary characteristics that aims to promote education and educational research, to provide an expression opportunity to all the experienced specialists in the field, but also to the young researchers, facilitating the exchange of ideas and interactions at the level of the scientific community. The first issue of the magazine was published in 2002. The works can approach different themes in the educational field: the initial and in-service teacher training; the development and innovation of the curriculum; the theory and practice of training; the theory and practice of the assessment; management and educational leadership; the management of the educational programs; the sociology of education; the psychology of education; university pedagogy; adult pedagogy; the history of pedagogy and alternative pedagogies; comparative pedagogy; pedagogy of primary and pre-primary education; early education; the education of children with special educational needs; inclusive education; educational counselling; the psycho-pedagogy of learning; special didactics, etc. Theoretical approaches – revisited and new perspectives; Educational practice – new perspectives; Research laboratory; History of pedagogy; Comparative pedagogy; Computer-assisted teaching and Varia.